Even on vacation, Kate Huntington can't seem to avoid other people's troubles. 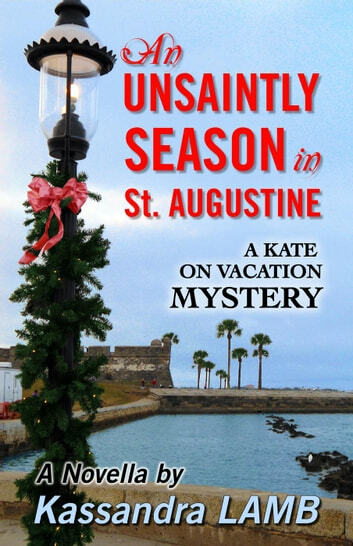 While in St. Augustine, Florida for the Christmas holidays, she and her PI husband get caught up in trying to find a friend of Kate's parents who's gone missing. They soon discover that this isn't just a case of a senior citizen wandering off. Can they reunite the elderly man with his wife before Christmas, or will others who mean him harm find him first? This is the first of a series of novella-length mysteries with a cozy flavor to them. 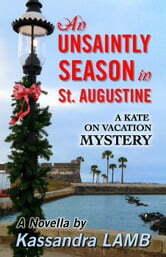 They feature the same characters from the Kate Huntington Mystery series. These are intended to be light, suspenseful reads that also allow the reader to travel vicariously to interesting and sometimes exotic places.